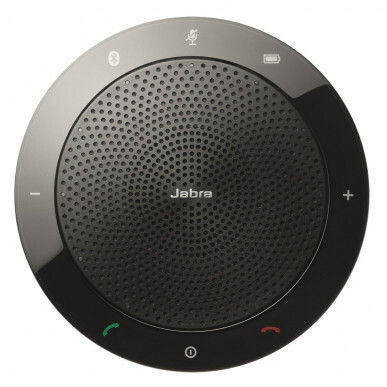 Increase productivity and stay focused wherever you are with Jabra Speak 510, a portable speakerphone that gives you the power to literally turn any room into a conference room. Regardless of your location and your timeline, you can now join the conversation anytime, anywhere. This device plugs into any USB port or connects to a Bluetooth enabled device to allow approx 4 people in the room (range is 1m) to join the conversation. 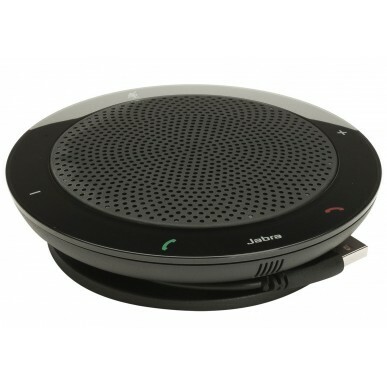 The Speak 510 has a slim and compact design and is the perfect solution for audio conferencing on demand with a compact and lightweight design, an integrated usb cable management for quick set-up and a protective travel case. This is a simple plug and play solution - just plug it into a USB port on your laptop, tablet, PC and even some phones, and you're ready to dial in. Use on the go with your mobile phone, Bluetooth enabled laptop or tablet. Perfect for conference calls for a small mobile team to dial back to the office. 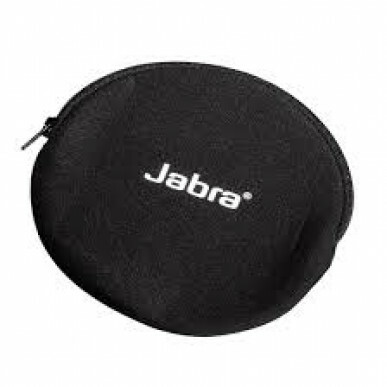 The Jabra 510 is both a corded and Bluetooth model. If you only need to connect to a PC (via USB) you can save some money by purchasing the 410. If you plan to use with a PC, most of which don't have Bluetooth you can use the cable connection. If you do want the wireless (Bluetooth) with your PC get the 510+ which comes with the Link 360 - a dongle to allow a cordless Bluetooth connection. The 510 will ring & flash when a call is coming in. It includes call answer and end buttons, volume control and a mute button for when you need a little privacy on a call. If you need real privacy you can connect a corded or Bluetooth headset to the unit. I used these at my old job and so I came back for another one! Clarity is good and the volume is great, you also get a reasonable amount of volume. It picks up peoples voices from up to a metre away which could be a little bigger but that said it's been pretty good and I use this while I'm in meetings. Fantastic for people who spend a lot of time traveling. I have used it in 4 different countries now, in hotels, offices and at home. Have recommended it to several of my colleagues.